Celebrate father's day with the gift that keeps on giving. We all enjoy a compliment so why not give your loved one the opportunity to receive them daily. Book a summer wardrobe refresh with us. 2-3hrs in our private shopping suite or from the comfort of your home. Learn which colours and styles work best together, making him feel great with minimal fuss. £125 p/h and because its our birthday if you contact us this month we are offering you £50 towards your purchases valid until August 20th 2017 Terms and Conditions apply. I met Ama Rouge a professional dancer, choreographer and teacher, at a university dance class. Having performed internationally on stage, she has been requested to dance by Royal families and has also performed at my favourite London dance theatre Sadler’s Wells. From that day I came to learn that her talents and energy have no limits. 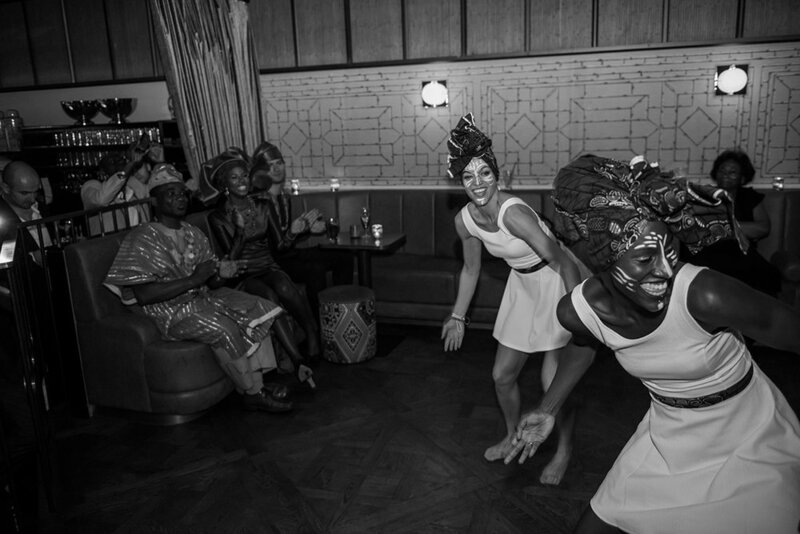 So when we were preparing for our traditional Ghanaian wedding I was thrilled when she accepted to perform for us. 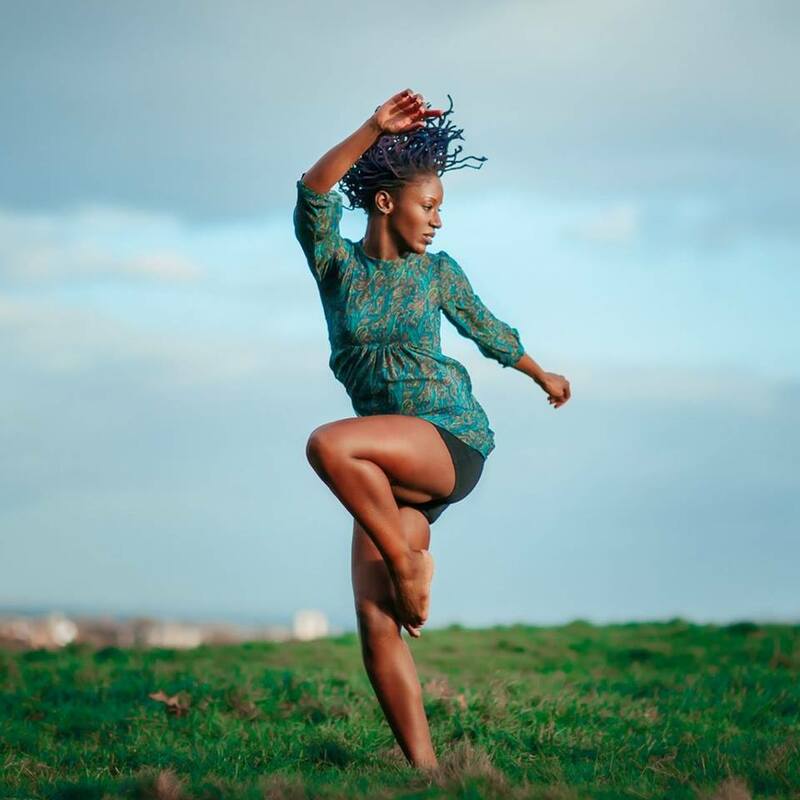 She created a high-energy routine with her dance partner (both Beyoncé and Tina Turner would have wanted to be part of it) to an Afrobeats track getting us all in the mood to hit the dance floor. A few weeks later as we got back to preparing the French wedding we were listening to songs trying to work out what ours was! We couldn’t agree. However, when James Brown, “I Feel Good” came on, we could not stop dancing and laughing. I then had the idea to combine it with Nina Simone “Feeling Good” as it is simply beautiful, and it would give us the opportunity to start slow and build. Now that we had our song we needed to know how to move together gracefully. Tell us what led you to working with Sammy Aki? As long time supporters of each other, along with Sammy's desire to have classes with someone who would make herself and Anael feel at ease, working together seemed like a natural choice and was the perfect opportunity to spend more time together! An influence of all the styles that move me - Latin, Jive, Afro, Lyrical, Tango. But most importantly I like to get a feel for who each couple are - their dynamic, their musical choice - this is always the starting point for my choreography. What makes your wedding first dance classes unique and stand out compared to others in the industry? Authenticity. I like to keep each couple at the centre of the choreography I create. If they feel inclined to, I give them the opportunity to contribute to the choreographic process. And as wedding season approaches, the weather begins to improve so I often choose to work with my couples in outdoor spaces; mainly parks. 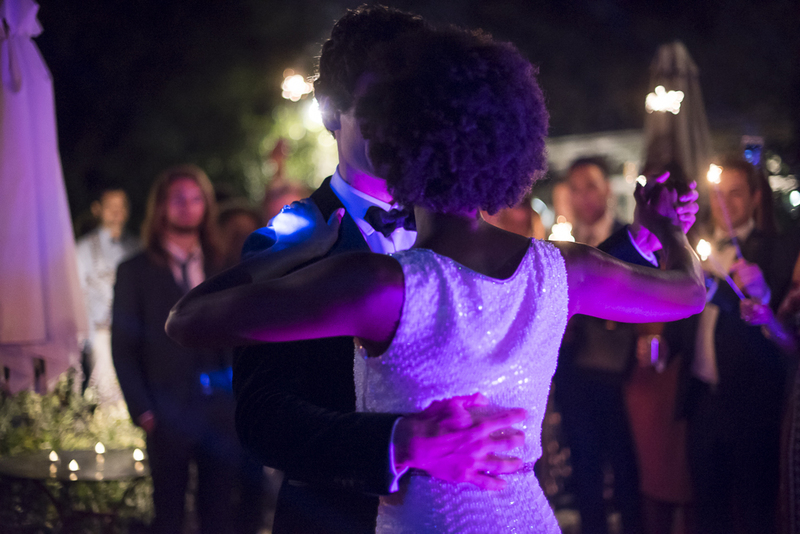 I've found that this introduces another element of fun and allows the couple to become accustomed to dancing together in front of others, which means by the time their special day arrives they're completely unaware of anyone else and totally immersed in their dance. I'm always open to working to each couple's needs. If you could give your couple any piece of advice what would it be? Let go, let your bodies do, stay open and keep laughing. We met up once or twice a week in different parks in London, finding secret spots and having the best time while learning how to move together. The choreography was based on jive, tango and disco, fused together to create a fun and romantic dance. In the final days we went to a dance studio so we could then use the mirrors and see what was actually happening. We both loved every moment of the preparation and the dance itself but what we love the most is that what we learnt will stay with us a lifetime . The three best and actual investments we made for our wedding - no1 Wedding dance lessons no2 Wedding video No3 Wedding suit. We are all creatures of habit and every now and again something crops up which makes us challenge ourselves and our preconceptions of what we are or are not able to do. A new work opportunity, accepting an accolade, developing a relationship, these are often moments we want to feel most at ease yet we are very aware that eyes are all firmly on us. You may have never worn anything formal before and don't know whats right for you, or maybe you only ever wear suits and want to reflect a more contemporary feel, discretely showing your insiders knowledge. This is what we can assist you with. So if you are someone who enjoys feeding those eyes or the one who prefers a subtle nod of acknowledgement there are a variety of ways we can work together. Do we make clothes? Yes. Do we know how to put a full outfit together? Yes. Do we understand and appreciate the nuances of each tailoring house on Savile Row? Yes. Do we enjoy working with other great international brands? Always. So here is a video where I show you a bit about what we do, in a world where I am at my most confident and comfortable, however my challenge... I'm camera shy! When it comes to dressing for your wedding try to stay clear of "trends". By all means be aware of what's going on but this is not the time to be a slave to fashion. I have always been interested in them as what fascinates me is their cycle and evolution to become a style. In 1998 whilst working at Thomas Pink, Jermyn Street I realised that no men wanted to wear pink so I made it my personal mission to convert the guys and sell pink shirts to the "brave". Now I read that there is a whole new kind of pink "millennial pink" Yes, these tones have been catching my eye for years and most recently in interior design magazines and within branding galore. Rose Quartz was the pantone colour of 2016 and a few of our grooms opted for this warming hue instead of a classic white shirt, whilst my favourite groom was ahead of any pantone trend with his wedding suit. Click the image for inspiration. 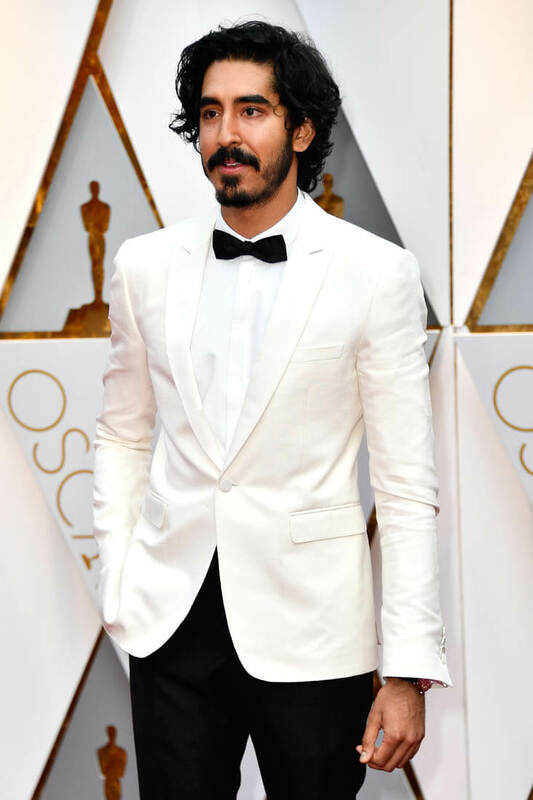 This years Oscar season saw a number of British actors featured on the best dress lists. Casting our eyes over the photos we noticed that they took this opportunity to follow etiquette and wait for the warmer climes to wear a white tuxedo (evening jacket). Aldis Hodge's (wearing Giorgio Armani) lapel accessory, adding a touch of difference whilst still remaining elegant. Textiles and patterns have always been my great love. I particularly enjoy discovering the symbolism and meanings of certain prints and weaves as well as helping overcome peoples "fear" in wearing them. 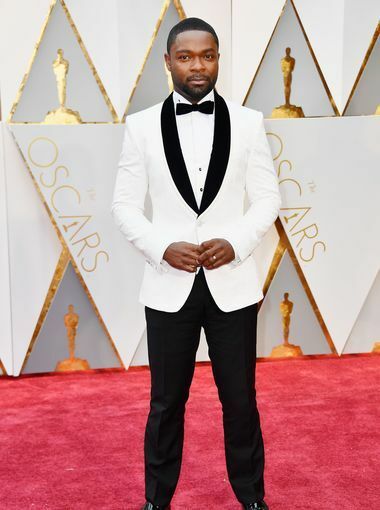 I knew for certain that with my Ghanian heritage rife with symbolism especially within textiles there was no way our groomsmen would be wearing a plain silk tie. I also understood that I didn't want to overwhelm the guys with prints they couldn't relate to nor did I want to have the same fabric as anybody else. This is where I wanted them to have something truly special. Challenge set. What led you to work in the interiors industry? The decision to start this journey in the interior space, was a very natural one. Given the context of the adinkra symbols, their symbolic meanings and the whole idea behind which they are intended to encourage personal wellbeing and social harmony, I thought it lends itself very nicely to our living spaces. This whole idea, by symbolic osmosis, if we surround ourselves especially our living environments with meaningful design then hopefully those are the values we carry with us when we enter the world every day. And where better to place such values than in your home the nest of your soul. My creative inspiration starts with the adinkra symbols their meaning their shapes, how they lend themselves to ideas that I have. It also is important to for me to communicate that while AMWA Designs is inspired by the adinkra symbols of Ghana, West Africa, that their values and meanings do transcend all cultures and this is something that I think that most people can relate to. Feedback I often get is that there is a taste of Africa yet it is very contemporary. The idea of also presenting African inspired design in a different format and context to people is also an exciting opportunity for me. It is very important that as many people from diverse backgrounds are able to see themselves in my designs and this also informs my creative process. Tell us about AMWA X Sammy Aki? Chrissa: The collaboration between AMWA Designs and Sammy Aki came about as we have known each other for many years and have seen each other’s growth into our respective creative design and textile spaces and so there was a natural synergy to collaborate. The opportunity to eventually do so came with Sammy’s marriage, a very exciting event in itself and given that Sammy does work within menswear, especially in the wedding space, it gave an opportunity and platform for her to showcase the best of what she does so well. So for AMWA Designs to be a part of that was very exciting and a true honor as well very much appreciated. The symbolism and meaning of the kete pa design which is used on the groom and groomsmen’s ties and bowties also lends itself to marriage, its been inspired by an adinkra symbol called kete pa which literally means good bed. As the proverb suggests that he or she with a good bed has a good marriage. It was also my first official foray into fashion so it gave me a taste of some of the considerations needed for it. The nice thing working with Sammy is that she is very clear on what she wants and knew how to achieve this from the get go. I went with her to her tailors and she was very open with her processes so that made it enjoyable to work with her. 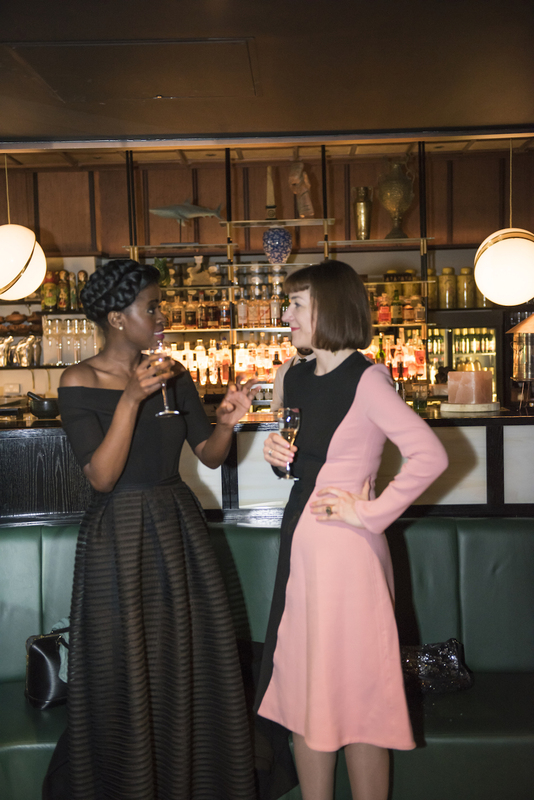 Chrissa: I have been working on a really interesting project called Africa by Design in association with The Financial Times, which launches in March, so its a pretty busy year for me. AMWA Designs is going to continue to grow from strength to strength we are looking to enter new market places and have exciting collaborations in the pipeline, one of which is a furniture collection with Mustard a Ghanaian based architectural practice. Isn't Chrissa great? So you understand why I'm coveting all of her designs and want to start another gift list. If you are in Accra, 7-9 March please do attend this great exhibition. With three wedding celebrations there were several things I had to consider not once but three times. Wedding One - A small affair at my family home... 90 guests. This entailed bringing everything in, Marquee, outdoor heating, electricity, catering, chairs, glassware, linen... on top of everything else that typically goes with a wedding. Wedding Two - Having worked in events and visited a number of venues I knew that finding a space that already had the wow factor was want I needed. By choosing a place that was already set up the way I envisioned it meant that I could work with their team and concentrate on the finer details. Wedding Three - The finale had to be an international wedding as I don't like to make things easy for myself. The extra thing we had to consider here was ease of transport, accommodation. 1. What date is the venue available? With our proposal Anaël also stated that we would get married at his home on the bank holiday weekend in August. Fortunately as this is not a holiday in France and as the son of the owner we were able to have his dream date but we still had to act fast, every other weekend that summer was already booked up. When choosing your wedding venue keep this in mind and try to be a little flexible where you can. With our London wedding we held it in April on a Sunday, which worked out perfectly for us, as we wanted a unique, beautiful indoor space for an evening celebration so if it rained it wasn’t a concern. 2. Can I hold my ceremony here, too? 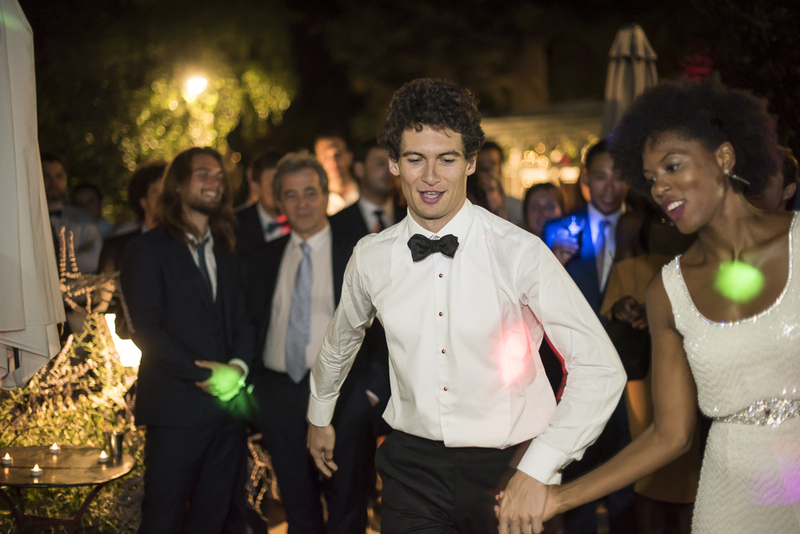 If you are looking to marry in France you will find that there is a lot of protocol, especially for those who do not have ties to the country. The ceremony must take place at the mairie (Town hall) before the religious ceremony and then you will have the celebration elsewhere. (Part of the reason we had 3 weddings) For more information please follow this link for more details. 3. Is the size appropriate for your guest list? West African families come big and it appears I managed to find an equally huge French family. With everyone having 4 siblings plus we knew capacity could be an issue. 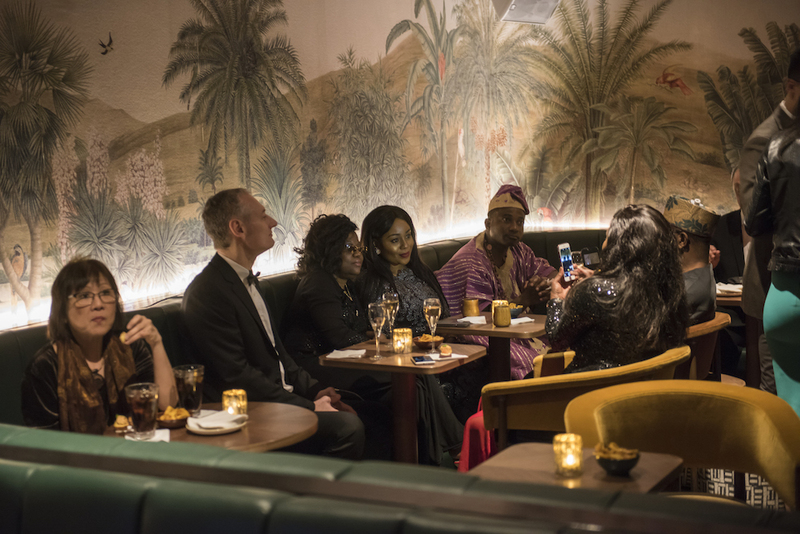 We were blessed to have found Oriole a month after it opened and so held our Ghanaian wedding celebration there, and they had a capacity of 180 guests, amazing in central London. With la-gentilhommiere the beauty of the hotel is its surprising scale. The weekend prior to ours there was a very chic wedding party of 60 in La Verrière. We were able to have 300 guests for the cocktail reception and 200 for the sit down meal. There is also space to have a marquee extension on the veranda off the restaurant but I wasn’t intending on feeding the 5,000. 4. Is access to the venue easy? And is there sufficient parking? Oriole couldn’t be better located in Farringdon with 24 hour train links taking you across the city and outskirts, so no excuse for those wanting to catch the last train home. I loved the location so much that I didn’t actually write it on the invitation leaving it to a week before to elaborate on the secret postcode. So with the relative ease of a London location, France became my main concern not fully understanding the countryside, but with everything I was fretting for no reason. The venue is in what seems to be the middle of nowhere however it is a direct route from Lyon airport or Geneva for international guests. Hiring a car is easy or if you want to provide a coach service this can be arranged. The hotel has ample parking space for both coaches and cars. Everything was prepared in house. This is the fantastic thing about the hotel as it originally started as a restaurant and food is very important to them. We were able to combine all the food we love and they also surprised me by including some Ghanaian canapés. My favourite was the dessert buffet which had the most amazing French desserts all made by the hotel. The next day we invited the guest who had travelled to France over for a paella lunch and debrief of the previous night. The food at Oriole is exceptional and one of the reasons we chose the venue. 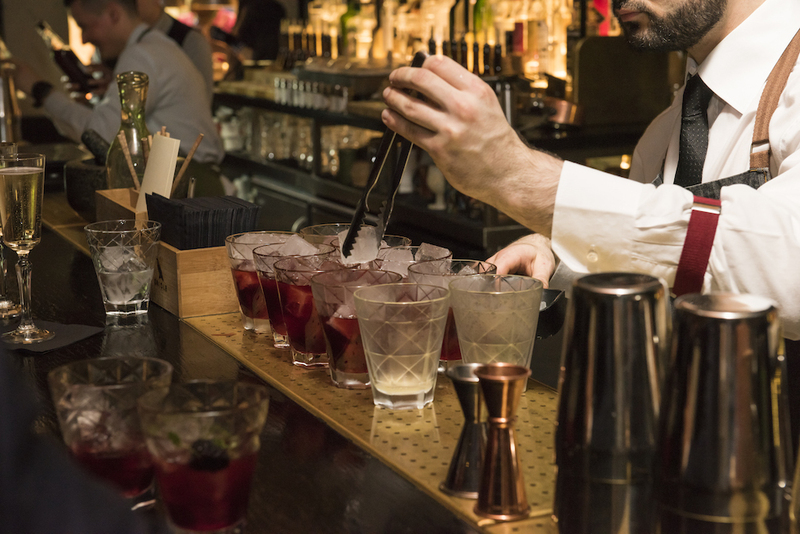 Awarded the prestigious accolade as “best international bar in the world” you can rest assured that the food and drinks are second to none. It was great to work with the team on the menu and we loved how their creativity has no bounds. They even created a signature cocktail for us incorporating ingredients indigenous to Ghana, this was all created for us without us even asking, making the whole process really exciting and special. 6. Are tables, linens, chairs, plates, silverware and glassware provided, or will I have to rent them myself? Again with Oriole this was a major deciding factor on hosting our wedding here. Having been to the venue and their sister venue a few times prior I new they pride themselves on the presentation of their food and cocktails. Everything is meticulously thought through which meant that I knew we wouldn’t need to have additional hidden costs. They even suggested special plates that would work with the feeling of our wedding. La-gentilhommiere provides all of this as well and now with our wedding they have refreshed the wooden chairs with a touch of grey paint giving an alternative look to the hire chairs we typically see at weddings. 7. How long will I have use of the event space? This is a very important question especially when coming from the UK when lights start to go on at 1130pm (when the French start to serve the cheese). As our hotel has no surrounding neighbours and a dedicated bar space away from the rooms the end of the party can certainly be up for discussion. The same was true for Oriole who has a late license till 2pm. 8. Is there an outdoor space? What are the weather contingency plan for outdoor spaces? With over three hectares of parkland, this became the focus of the wedding celebration. Even for parts that were inside I managed to decorate them so we felt like we were still outside in the nature. The scale of the space enabled us to even have a (surprise) Montgolfier (hot air balloon) launch us into the evening sky. Depending on the size of your wedding there is also plenty of indoor space if the heavens decide to open. 9. 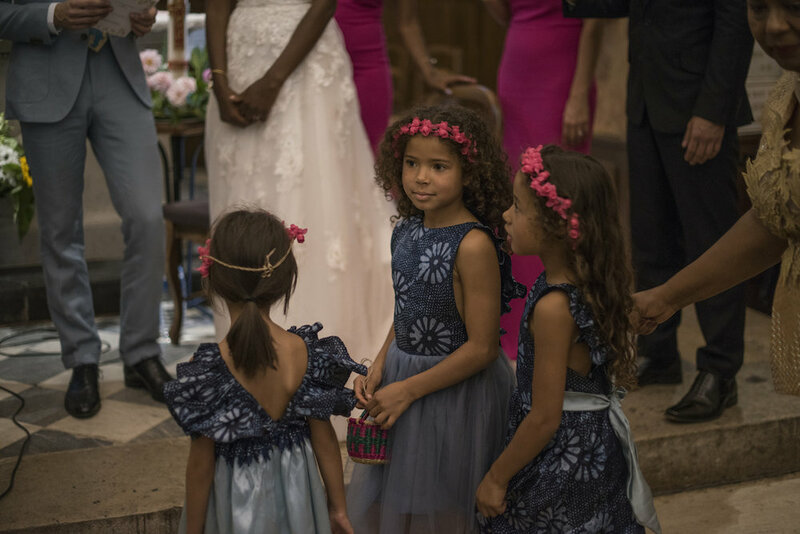 Can we invite Children to the wedding? This question is always a big debate amongst friends and family. As we had three weddings we were fortunate to have all options. By having our wedding at Oriole on a Sunday evening we knew that children would not attend. With France it was the opposite we wanted to have children at our wedding. However we didn’t quite realise that we would have 40 under 12years old. The hotel was the perfect place for this as there are farm animals grazing, playgrounds and so many things to entertain themselves with, that don’t come at an extra cost. We were then able to hire nannies to watch over kids during the reception. 10. Is there an overnight accommodation available? Being able to sleep 180 guests at the hotel was a real plus for us. We wanted our guests to feel at home and found that many of them loved this too, as they were able to make a holiday of our wedding, exploring the grounds and the surrounding area. The swimming pools and other amenities added to the relaxed experience for all. As a bride it was nice to see everyone making friends and getting on even before the wedding had started. There is variety of different style rooms and the hotel can also recommend other bed and breakfasts close by if you need more space. My husband has always said he loves me in headpieces and with all the wedding preparations this suddenly became an area I could not neglect. 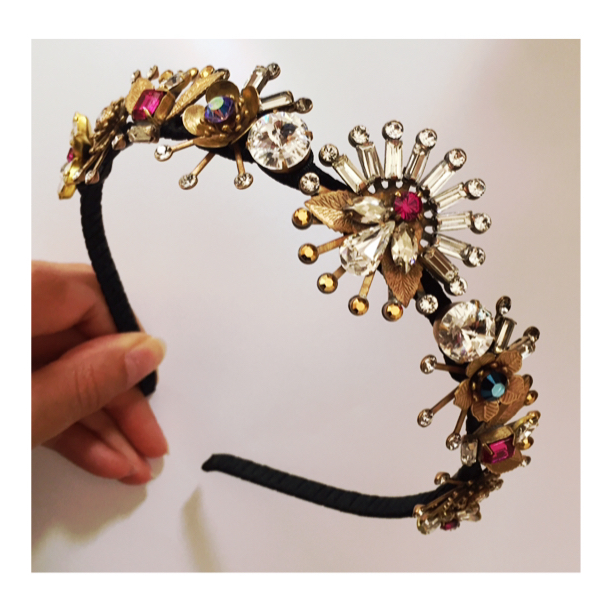 So when I saw some of Tilly Thomas Lux pieces on Instagram I instantly picked up the phone, I honestly travelled the world looking for the perfect headpiece (and working) and just couldn’t find the right one. 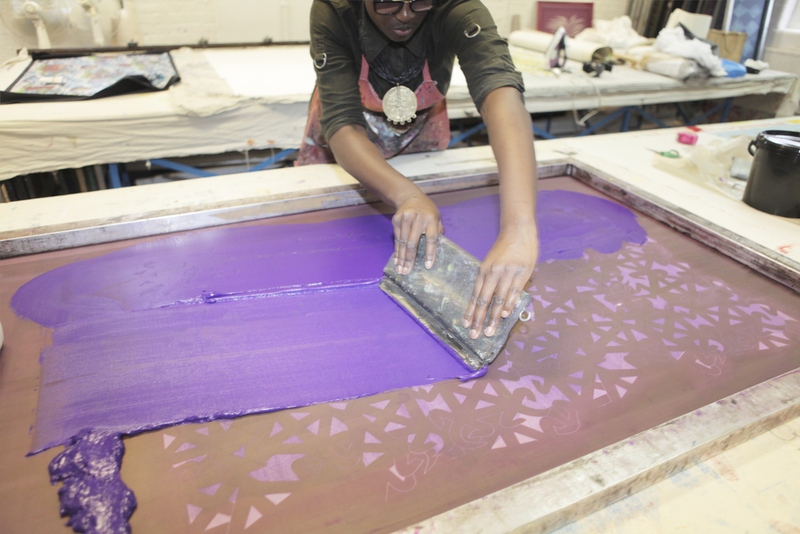 When Sally explained she made bespoke pieces too, I took a train to her home and studio and we started creating. I loved the Art Deco yet modern feel of her work and as Anaël and I met at a prohibition party the 1920s style is really special to us. It was the best to work with Sally. The bespoke process was seamless and fun and I enjoyed getting to know her. She is very passionate about what she does and her enthusiasm and expertise is infectious. I couldn't recommend Tilly Thomas Lux more highly. To be able have have a personalised jewellery service without spending thousands was appreciated. Please visit her website to see her work and find an in-depth interview on being a Tilly Thomas Lux Bride. I would say my style is minimal, Scandi-Esk with a hint of sparkle. I love colour but i tend to suit a more neutral palette. I love jewellery & accessories so this is where i tend to splash out! Tell us what led you to work with Sammy Aki ? Sammy found me on Instagram as most people do. She came to my studio & we played around with stones & components. I love this part of the process as it means the client really gets involved in the creative process of bespoke. What did you enjoy the most in this creative process? Designing with Sammy as she had a clear idea of what she wanted, which I love, but also the stone setting and finishing off of the piece ! What are your tips for others looking to create a unique piece of jewellery? I would say go in with an open mind & be YOU. Be the bride you want to be :-) there are no rules !! Hattie Crisell from the Toni and Guy magazine asked for my thoughts on Autumn Winter 2016 and the modern dandy. Our family and heritage is very important to both of us and we really wanted to reflect this with our wedding. Getting married in the house where Anaël grew up was a real privilege; essentially we wanted everyone to feel at home. 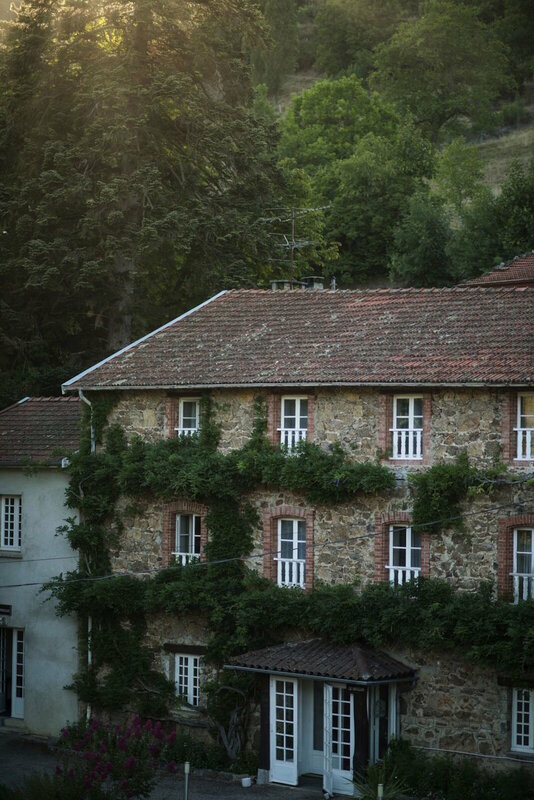 La Gentilhommière is nestled in a spacious and idyllic park in the Ardèche region and provided the not only the backdrop but the essence of our marriage celebrations.